Environmentalists have accused Energy Resources Australia (ERA) of ulterior motives over plans to expand its uranium mine in the Kakadu National Park in the Northern Territory. After winning the rights to mine at the site in the late 1990’s, the traditional owners of the land, the Mirrar people opposed the mining and the shaft was filled in. 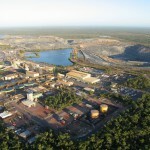 They believe the plans by ERA to expand its Ranger Mine operations is a sneaky way for the company to also access one of the world’s largest known undeveloped uranium deposits at Jabiluka. 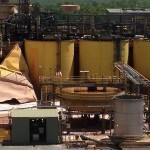 The company has been under pressure to close the mine amid fears of contamination to nearby waterways and damage to traditional Aboriginal land. Australian Conservation Foundation (ACF) spokesman Dave Sweeney told the ABC the ERA has bigger plans in the region that it is not discussing. "It wants to stay active and in the region and wear people down, and wait for times to change," he said. Sweeney said the Mirrar people are giving up billions of dollars in royalties in opposing mining in Jabiluka and the ERA should give up on expansion plans at the Ranger mine. He said the location of the mine within the Kakadu National Park means an expansion is too risky, following a report given to the Gillard government which shows climate change could damage mine infrastructure and damage processing systems over the next 6 decades. "Environmentally, there will be increased water, increased storm events, increased surge activity," he said. "It will be more difficult to manage water and waste in Kakadu. "We have already already seen it this wet season. "We have seen it for years, real problems with water and waste management at the Ranger Uranium Mine." ERA has dismissed the claims and says planning for the mine includes climate change modelling and if climate forecasts change it will adjust its plans then. Prime Minister Julia Gillard has been called on by the organisation representing Mirrar people to put a stop to all plans to expand uranium mining in the national park. 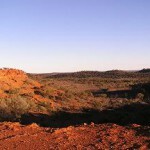 The Gundjeihmi Aboriginal Corporation has called for mining to be banned at the Ranger uranium mine as it is a part of their tradional land. Corporation executive officer Justin O’Brien told the ABC a climate change report on Kakadu released on Wednesday ignored the effects of increased storms and rising sea-levels on Ranger and the Government has reneged on its promise to incorporate the nearby Koongarra lease into the national park and apply for world heritage listing. "The commitment was given in the last federal election," O’Brien said. "Now is the time, in light of what we know at Kakadu, for the Ranger Mine expansion and the Koongarra Mine proposal to be taken off the table. Last month the company was warned against cutting corners on environmental protection during the emergency shutdown of the mine, amid fears of contamination into waterways used by an Indigenous community and surrounding wetlands.